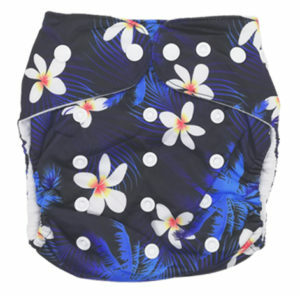 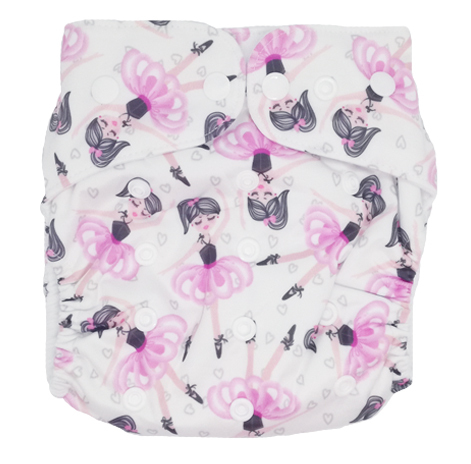 Fancypants AIO cloth nappies are the easiest diapers to use. 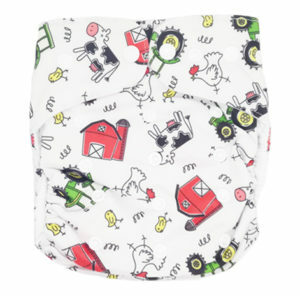 The inserts are sewn into the nappy so there’s nothing to separate or fold or stuff. 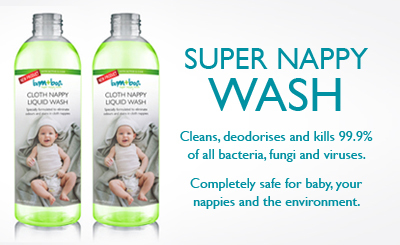 Simply wash and reuse. 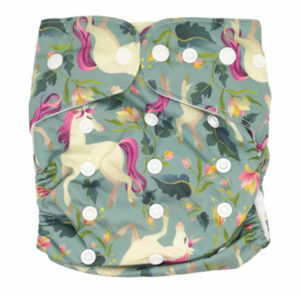 Now that’s fancy! 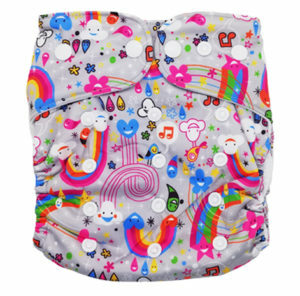 All-In-One’s are a wonderful, hassle free way to cloth diaper. 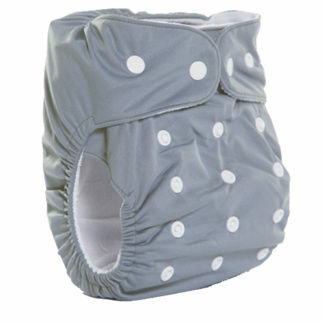 AIO’s are so popular because they are the easiest way to cloth nappy your baby. 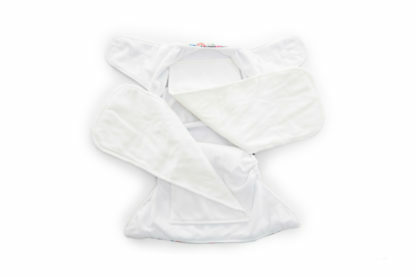 No stuffing, folding or separating parts – just put the nappy on, take it off, wash, dry and repeat. 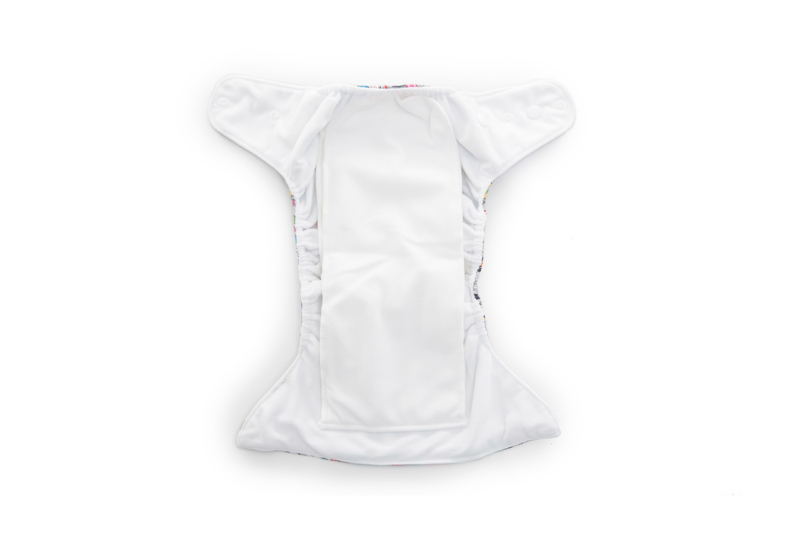 Our AIO’s include two inserts which are sewn in (size: 30 x 13cm). 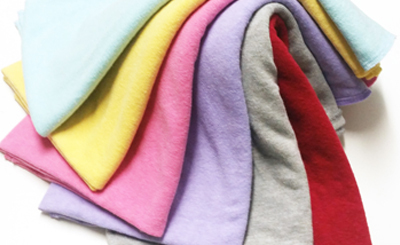 Each insert contains 3 layers of soft, ultra-absorbent bamboo/cotton fleece. 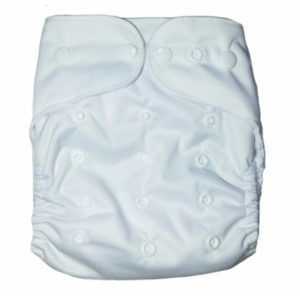 One insert is topped with suede cloth to keep baby’s bum nice and dry. 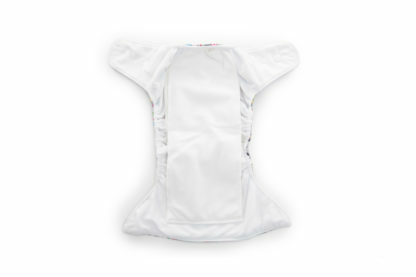 Our AIO’s have fully adjustable waist and leg snaps (one size fits most: approx. 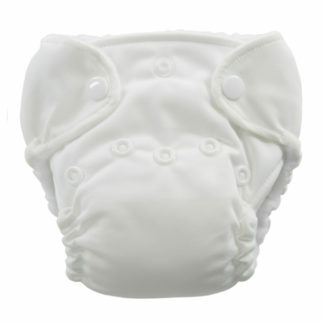 5–17kgs). 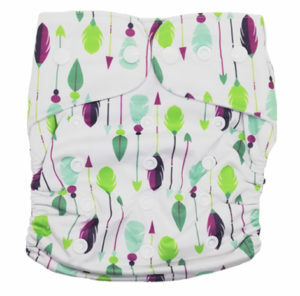 The outershell is PUL coated to make the nappy waterproof but the entire inside of the nappy is lined with suede cloth to ensure only soft material touches baby’s delicate skin and the nappy dries quickly.